I make a mean iced coffee. That can be a blessing... and a curse! While it's tasty to have in summer, it can add a lot of unnecessary calories. 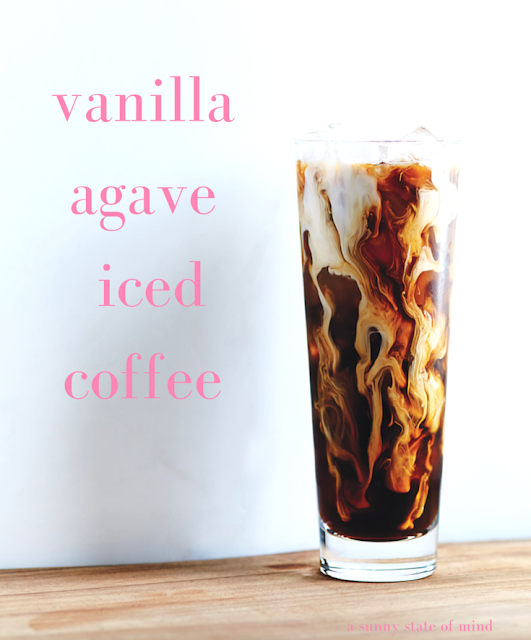 So, I came up with a healthier (and easy) alternative to typical iced coffee using almond milk and agave. Put these in a microwaveable dish and microwave for 15 seconds. Make two servings, one for now and one for tomorrow, and you will love yourself in the morning. Trust.